Chris Springfield has over twenty years of experience in creating and selling businesses, real estate development, and project management. In addition to being a certified PMP®, Chris is also a licensed real estate agent in Florida, Georgia, South Carolina, and North Carolina. Chris has expertise in the areas of due diligence and market analysis, construction supervision, marketing and business development, and real estate acquisition and development (as Principal and advisor). Chris is also well versed in the processes of site zoning, code, tax and other government requirements and compliance, HR management, commercial and hospitality space design, and problem solving as well as conflict resolution and negotiating. Chris’s ability to analyze complex business financials and interpret them to potential buyers as well as organize and construct them into a marketing offering memorandum for business sellers pays dividends to Chris’s clients. Chris also brings his analytical business brokerage skills to the table when advising clients in regards to commercial real estate investments from retail to office and hospitality income producing net leased properties. 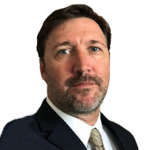 Chris serves as VP and Principal of the business brokerage division of SperryCGA-Griffin Partners and is active in all areas of business brokerage as well as commercial net income brokerage. Chris is a native of Athens, GA and has started, built, and sold many hospitality related businesses. His approach from an owner’s perspective, as well as his finance background will pays dividends to his clients.